​ Please scroll down to learn more about us. Our Booking company often shows rides closed that have availabilities! We also GPS very easily. We've got about a 1000 acres of varied terrain up behind us, making open trail, at all levels, lots of fun! Check out our "Things we love" tab, We've got Uber/Lyft & Air BNB across the street! Check out our Sales under the payments and fees tab! Military and First responders programs! From warm up, to heading home, here's a snapshot of trail! 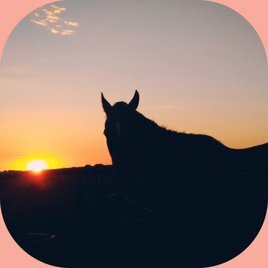 - We offer you a unique, personalized, private, riding experience, on open trail, tailored to all experience levels; including all gaits (speeds) of the horse, to preference and riding level. We also teach lessons Do we lope/canter with the correct riding level? Yes, we do. We just don't take great pics doing it, while we're riding too! We apologize for the limited pics. -Trails can be ​booked by specific appointment times, or online at suggested riding times. Most Trails are 2 hours ($76.00/person), but ride time can be adjusted up or down. -All trails come with a complementary 30 minute, instructional, warm up time, in the arena. ​- Please check the trails or Lessons tab(s) for specific details. - We offer riding, for both adults and children. - We are by appointment, use the CONTACT US tab to contact us, & book online button to schedule your ride. Call if you need a different ride time. - Our trail riding is NOT follow the leader, it is open trail riding. This allows us to ride to the level of our rider, whether it's a walk, trot, or canter. -We have horses of all different levels, and all different breeds, including Gaited horses and Arabians. - We cater to the rider who has never ridden a horse before, and also to the rider who is just getting back into riding, or rides frequently. We ride both English and Western. - Had a horrible riding experience, but want to ride again? No problem, some of our best reviews come from clients in your same boat. ​- Single riders or up to groups of 8 riders(larger groups available with seasoned riders riding) are welcome: Come ride with us! (Semi private rides are rarely larger than 4 riders of the same riding level) Please scroll down for all our discount programs and policies. Chisholm trail rides was established to give riders of all levels, a place they could learn, and ride, different levels of horses; as if they were their own. We want our riders to be able to enjoy the love and passion of riding, without the pressure, time, expense, and deep, long term, & emotional involvement, horse ownership requires; before, if ever, they are ready. We strive to achieve this by being particularly discerning of our horses disposition, to offer a steady, good minded horse. We also offer horses that are well maintained, with ongoing training done by staff, to keep well trained horses. We refuse to cut corners on our equine friends. We want everyone, from our adults, to our children, to enjoy this amazing partnership by providing all levels of horses, and riders; without pressure to lease, buy, or sell a horse. If our clients choose to buy in the future, we want them to have plenty of time to find that final, perfect partner. We want our riders to be able to truly learn to really ride. This includes being able to communicate with different horses, and ride in different environments. We want to teach every aspect of being a horseman to our lesson clients, without skimping on saddle time, and instruction. We offer several different venues for riders to practice their skills. We refuse to use any tricks, that puts money above horsemanship. We will not cut corners on our horses, or the safety of our riders, and their equine partners. We are also committed to helping our community through our various programs for Military, Police, Fire, and foster children. We continue to help our equine community by taking horses that are at a seriously dangerous level of starvation, and neglect. We bring them back to the magnificent animals they were meant to be, and give them the job of helping riders enjoy riding. We will never sacrifice our principles for any cost to our riders, or our equine partners. - If you have only ridden mostly follow the leader trails, you are not a seasoned rider. - Our "step up" horses are categorized this because: they are more trained, have lighter cues, and have naturally faster gaits. If a novice "clamps down" on a above novice horse, it is going to comply and move out faster, immediately. - We spend A LOT of time making sure we can offer a highly trained horse, that is extremely solid on trail, to our upper level riders. **If the rider is from out of this country, and rides, there's an excellent chance you are able to ride one of our "step up" horses. If you want to ride one of our Arabs, they are so light, you need to be at least advanced intermediate. Please call, text, or e mail us & we'll be happy to make sure you are well matched. - Weight over 200#. This needs to be determined on a case by case rider basis.We do have horses for over 200#, but we do need a call first. More muscular, Height to weight ratio, or more experienced riders usually can weigh more. We need to know, prior to booking. Just want to interact, brush a horse,without riding? Please contact us. We don't charge for interacting with our horses, but do need to schedule times. Families of active duty military or police officers will receive a 10% discount. If for any reason a Wounded Warrior cannot ride, we more than welcome them to come spend time with the horses. -We also have a program to sponsor foster children, please call for details. ​- We also welcome both children and adults with disabilities. We find that the horses are extremely good at helping people with disabilities. Many of the children that struggle with disabilities simply do not have them, or are greatly helped, while they are on a horse.